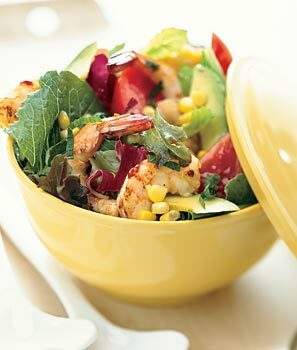 Shrimp is a perfect addition to any salad recipe. Shrimp lends especially well to light, summer salads. This recipe adds spicy, tasty, chili-garlic shrimp to a fun Asian-American-inspired salad that is perfect to enjoy on a hot summer day. This entry was posted on Tuesday, July 21st, 2015 at 1:45 pm	and is filed under Avocado, easy, Recipes, shrimp, Shrimp Dish, Shrimp Recipes. You can follow any responses to this entry through the RSS 2.0 feed. You can leave a response, or trackback from your own site. Entries (RSS) and Comments (RSS). 29 queries. 0.251 seconds.